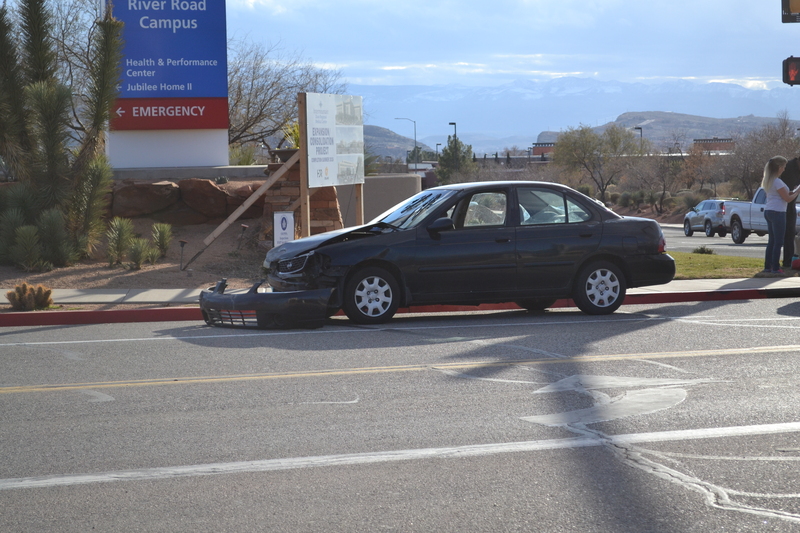 ST. GEORGE — A driver reportedly distracted by another car’s horn-honking turned left into oncoming traffic and collided with another car Friday afternoon. Units from St. George Police were dispatched to the intersection of River Road and Medical Center Drive on a report of a collision at approximately 4:05 p.m.
A man driving a black Nissan Sentra was southbound waiting to turn left onto Medical Center Drive from River Road, while a woman driving a silver Nissan Altima was northbound on River Road. St. George Police Officer K. Childs said the driver of the Sentra was “… distracted by another car honking its horn at someone and didn’t realize that a car was where it was and turned left in front of the other vehicle, and they had a collision,” in explaining how the Sentra crashed into the Altima. “The driver of the Altima was complaining of minor pain in her hand, possibly jammed her finger,” Childs said. The driver of the Sentra was cited for failure to yield on a left turn. The Altima sustained damage to its front end, disabling the driver’s side wheel. 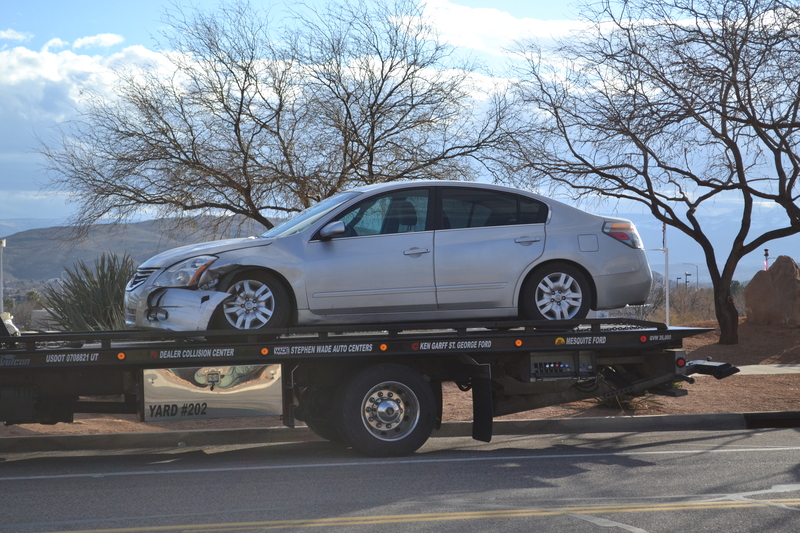 The vehicle was inoperable and remained in the roadway for approximately 20 minutes before it was towed. As a result, traffic going from Medical Center Drive onto River Road was impeded. The Sentra’s bumper cover broke off in the collision, but the car was still operable and was driven away. Gold Cross Ambulance also responded to the incident.